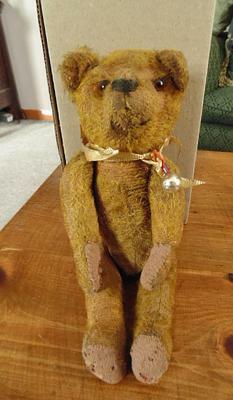 pre ww1 teddy bear ? 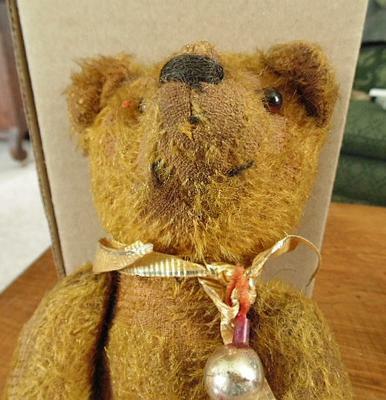 My name is Don and I have a Teddy Bear in my possession that has been in my family for well before I was born, in fact before my father was born in 1921. 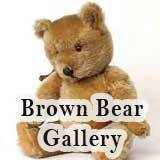 I am 62 now and have had this bear since 1990. Before that and up until my grandmother died in 1973 it was in her possession. 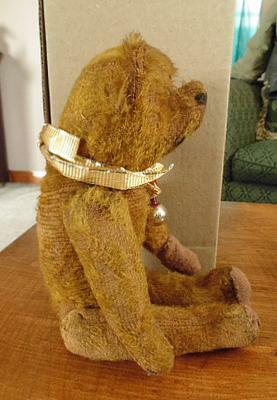 As tradition would have it, this cute little guy would unfailingly adorn my grandmother's Christmas tree,proudly perched on a bow near the top of the tree instead of a star. My grandmother was born in 1883 and once upon a time married to a fellow with the last name Alkenbrach (German). This was a gift from him to my grandmother as the story goes and was one of her most prized possessions,hence having always a place atop her Christmas trees. 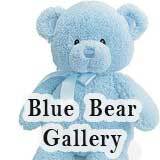 There is much more to their story but,this is about the bear really so I will proceed to tell you about him. I have included several pictures herein and I believe to a trained eye they will tell a more complete story about it's origin than I ever could. As far as I can tell he is complete yet has deteriorated somewhat so I have to keep him in an airtight bag and in a box for safe keeping. His head is stitched in place and quite stable but does not articulate. His arms and legs are held in place with string and they all articulate. He appears to have glass eyes ,a embroidered nose and three small dark embroidered lines,one below the nose and two others on each side of his chin to present the appearance of a mouth I believe. The stitching of his torso is center both back and front. There appear to be three panels,not including ears , that make up his head that all converge at the point of his snout and are of course are broad at the neck and attached to his body of course stitched in place. I'm not sure about the ears,too afraid to move them too much but either they are integral to the head flank panels or added separately, no wait haha,I have had another look and because they are a little over the panels stitching, perhaps a quarter inch,I now think they were added after the head was constructed. He's very close to 35cm in length, about 10/11cm wide and 8cm deep with a bit of a hump just below the shoulders. 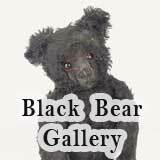 I hope that I have provided enough information to allow for identification of my bear because I do know he was one of the first that started it all. I truly appreciate anything you can do including your time and inspection of the provided photographs. 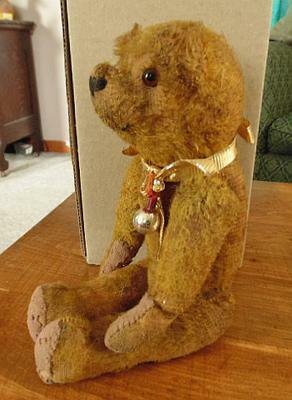 I have gone through by books and this bear does resemble what was known as a stick bear made in the US between 1914 -20. 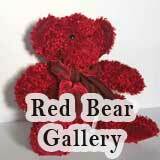 He has the slight frame and reduced features that were common with these bears. 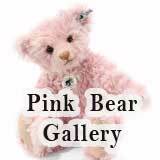 Unfortunately they were made by small now forgotten soft toy factories. The European bear companies made bears with much longer arms and were more realistic looking, so I am sure he is not from there. Apart from that I'm afraid I do not have any other information. 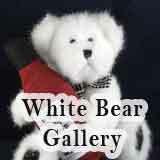 the Thing about teddy bears is not who made them but what their story is and that is the important part. It sounds like this chap certainly has a story to tell.